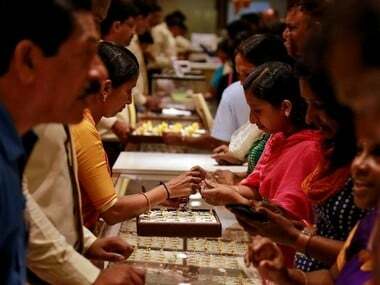 Gold prices rose by Rs 335 to Rs 32,835 per 10 gram at the bullion market in the national capital for the third straight day on Thursday helped by weak rupee and overseas trends. Silver, too, followed gold by gaining Rs 350 to Rs 39,700 per kg due to increased demand from industrial units and coin makers, according to the All India Sarafa Association. 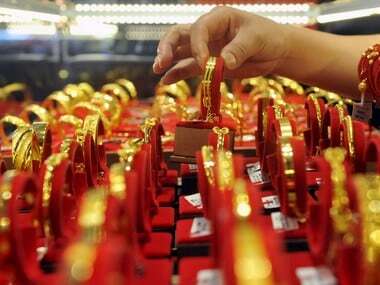 On Tuesday and Wednesday, gold prices gained by Rs 200 and Rs 30, respectively. 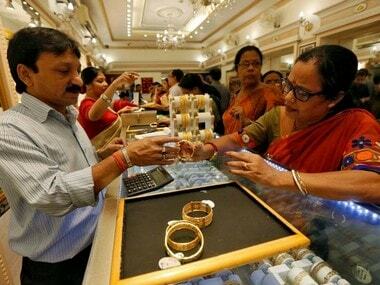 Bullion traders said positive global cues and marginal demand from local jewellers led to the rise in gold prices. Traders said on Thursday weaker rupee against dollar and safe haven buying contributed the surge in the prices of the yellow metal. Besides, firm trend overseas helped the rise in gold prices, they added. In Delhi, prices of gold of 99.9 percent and 99.5 per cent purities gained Rs 335 each to Rs 32,835 per 10 gram and Rs 32,685 per 10 gram, respectively. 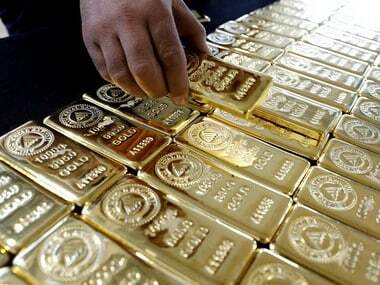 Sovereign gold, however, remained unchanged at Rs 25,200 per piece of 8 gram. Silver ready advanced Rs 350 to Rs 39,700 per kg and weekly-based delivery witnessed a rise of Rs 617 to Rs 39,365 per kg. Meanwhile, gold prices scaled a more than six-month peak on Thursday globally as worries about a global economic slowdown and volatility in equities boosted safe-haven buying, while a weaker dollar offered support. Spot gold touched its highest since 15 June at $1,292.01 per ounce and was up 0.6 percent at $1,291.81 at 0652 GMT. 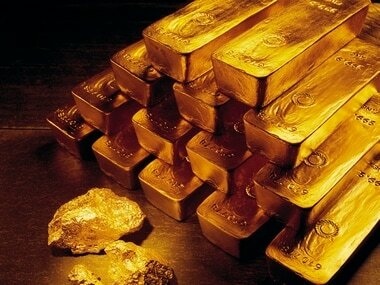 US gold futures were up 0.7 percent at $1,292.90 per ounce. The dollar index fell over 0.3 percent. The Japanese yen, also a preferred asset during times of economic volatility, surged versus the US currency on Thursday. Asian shares wobbled on Thursday, while US stock futures fell after a rare revenue warning from index heavy-weight Apple Inc added to worries about slowing global growth. Businesses in Britain’s dominant services sector reported the slowest sales growth in two years during the final three months of 2018, another sign of a dampening economic growth ahead of Brexit. Markets will be looking for cues about interest rate hikes from a joint discussion between Federal Reserve Chair Jerome Powell and former Fed chairs Janet Yellen and Ben Bernanke on Friday.